Interest in for-profit higher education has increased over the past decade, with the rise and fall of large for-profit institutions. A growing body of research examines the many aspects of for-profit higher education, including business models, students, and financial aid. Studies also offer a range of assessments of how the sector is growing or shrinking, earning or losing financial standing, serving the needs of their students and society or bilking them for profit. The literature is often quite critical of the for-profit sector, though the bias is not always supported by empirical evidence. For-profit institutions are fast-changing entities, highly responsive to new regulations and oversight. This makes the sector difficult and creates a moving target of scholarship. This chapter explores a decade of the literature to assess the research that has been conducted and identify conclusions and gaps in scholarship. 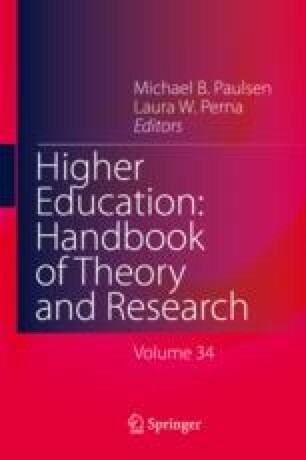 It is not designed to evaluate the for-profit sector, but rather to explore the scholarly work and highlight the place of for-profit higher education in the landscape of American higher education.